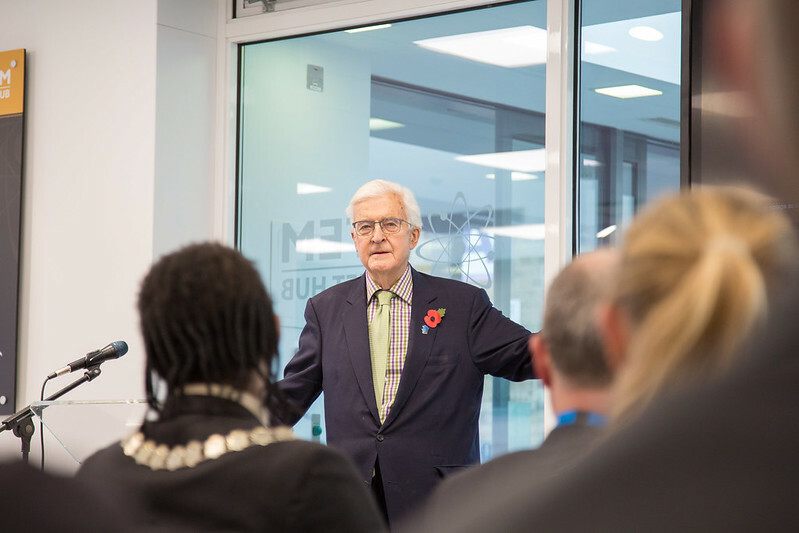 On Wednesday 31st October, we welcomed Lord Baker to our Ardleigh Green campus, where he discussed his recently-implemented Baker clause and the careers strategy that it forms a part of. The Baker clause, which was introduced in January this year, is an amendment to the Technical and Further Education Act. It obliges schools to allow training and further education providers to promote their offers to pupils in years 8 to 13 in order to find out about non-academic pathways, and they could face direct intervention from the Department of Education if they fail to meet this requirement. As such, it directly affects Havering College in that we will, hopefully, be able to extend our academic offers to a wider range of potential students. In doing so, we anticipate a steady rise in the number of learners in years to come. This event gave guests – which included the Deputy Mayor of Havering, local head-teachers/careers advisers and members of the local authority – an unrivalled opportunity to discuss the strategy with Lord Baker directly through a Q&A session. We were also pleased to have some of our own learners present who were deeply engaged and put forward their own questions. As a College, we pride ourselves on our endorsement of quality careers education, recognising the impact it has on the overall success of the College and our students. We continue to offer a range of activities to introduce our students to the world of work, including compulsory work experience placements, industry days and guest speakers. It was a great pleasure to have Lord Baker join us to discuss the careers strategy. It was a very intimate afternoon that allowed guests, as well as our own staff and students, to find out more about the strategy and what exactly it means for them. Overall, the event was a great success and we would like to thank Lord Baker and all guests for attending.